Emily De La Torre began her violin studies with the Suzuki method at the age of four. She received her Bachelors of Arts in Music Education from Texas Christian University in Fort Worth, TX. While there, she studied pedagogy under the direction of several well-respected teachers, including Linda Keefer, Amanda Musser, and Dr. Curt Thompson. She completed a Masters of Music in Music and Human Learning from The University of Texas at Austin, where her studies include string pedagogy, special education, human development and motivation. Emily holds a State of Texas teaching certificate and greatly enjoys working with students in an orchestral setting. Previously, Emily enjoyed a faculty position with The University of Texas String Project, where she maintained a diverse private studio, conducted orchestra classes, and taught and developed curriculum for beginning string students. She is now teaching orchestra in Plano, TX. 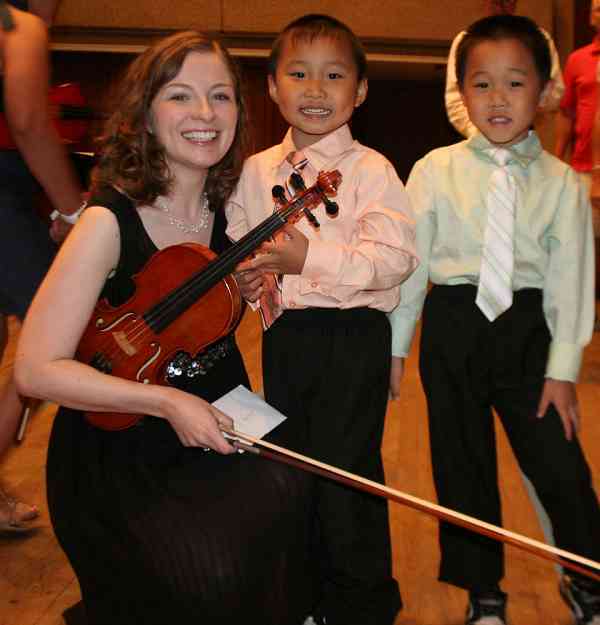 Emily has experience teaching private violin and viola lessons to students of all ages and learning styles. Her objective for students is that they will develop a love for music and learning, while strengthening character, relationships and work ethic.